You are here: Home / Real Estate News / How Does the Supply of Homes for Sale Impact Buyer Demand? The price of any item is determined by the supply of that item, as well as the market’s demand for it. The National Association of REALTORS (NAR) surveys “over 50,000 real estate practitioners about their expectations for home sales, prices and market conditions” for their monthly REALTORS Confidence Index. The darker the blue, the stronger the demand for homes is in that area. 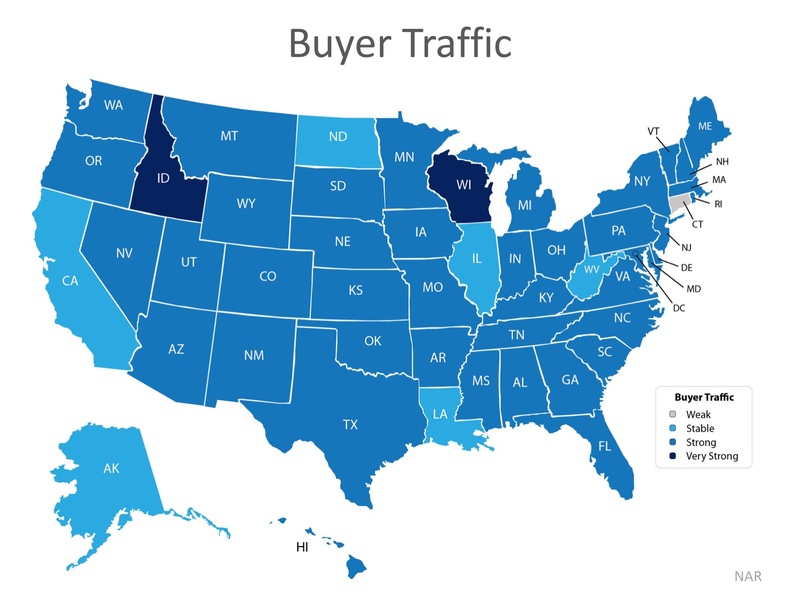 The survey showed that in 38 out of 50 states buyer demand was slightly lower than this time last year but remains strong. Only six states had a ‘stable’ demand level. 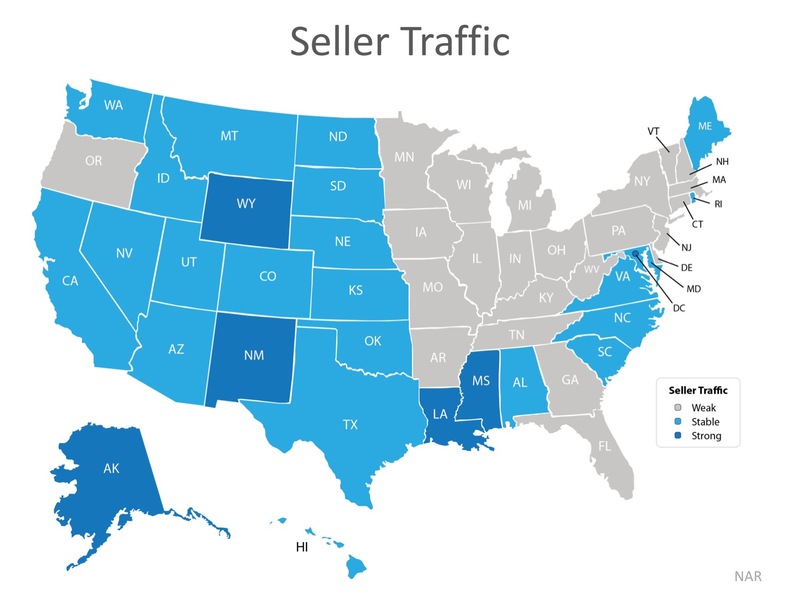 As you can see from the map below, 23 states reported ‘weak’ seller traffic, 22 states and Washington D.C. reported ‘stable’ seller traffic, and 5 states reported ‘strong’ seller traffic. This means there are far fewer homes on the market than what is needed to satisfy the buyers who are out looking for homes. Looking at the maps above, it is not hard to see why prices are appreciating in many areas of the country. Until the supply of homes for sale starts to meet buyer demand, prices will continue to increase. If you are debating listing your home for sale, let’s get together so I can help you capitalize on the demand in the market now! 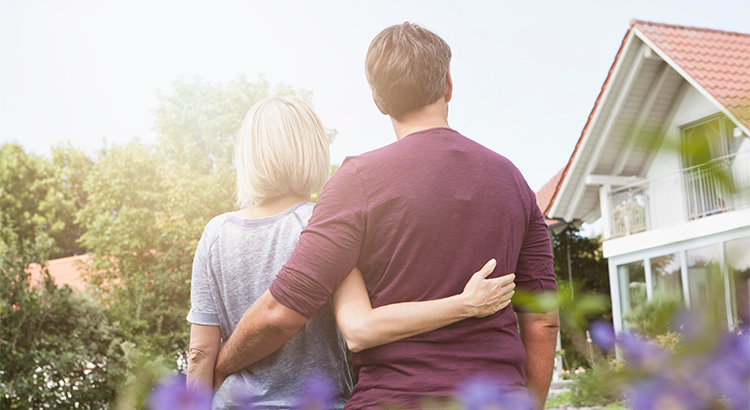 As expert Michigan real estate agents, we specialize in all areas of residential real estate – including buying, selling, luxury homes or first time home buyers, new construction, and relocation, which makes working with us your local choice for properties in the entire Southeast Michigan area.